HEY BANDS! Open Your Own FREE T-Shirt Shop Online! Upload your own graphics and create your shop today! This is an album soaked in classic British Invasion with a nice touch of psychedelia just to keep it interesting. The sound reminds me a little of The Doves, with the whole thing being hazy and drifting but with an unmistakable rock-n-roll punch. 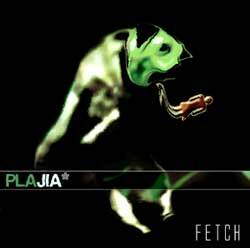 Plajia proves they aren�t bowing to pop star pressure by opening the disc with the mysterious and uncommercial Flame And Cold (Flamenco Song), a song overflowing with traditional flamenco passion, yet delivered with a kick in the pants. The rest of the songs borrow from this attitude, leaning heavily on textures of sound both from instruments and vocals more so than precise lyrical content or emphatic musical passages. This is all about the emotion of sound, and it is captivatingly beautiful. 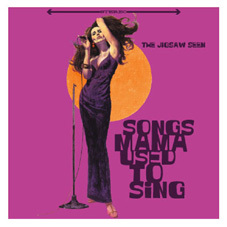 The Jigsaw Seen is back again with more of their unique blend of 60s-styled madness which is impossible to pigeonhole. The band has never decided if they are psychedelic or garage pop, so they intertwine the two and switch back and forth without missing a beat. It can be a bit jarring at first, but they do it with such mastery, that you are taken back to a time when such sonic experimentation would be seen as innovation and not resurrection. This album culls together a motley mix of obscure covers---from the Bee Gees� Melody Fair to Henry Mancini�s Elephant Walk, they put their unique stamp of shagadelic weirdness and make the songs their very own. All of this is packed smartly into a miniature LP cover and inner sleeve, which makes the package complete for the nostalgic set. The Brad Upton Quartet harken back to the days of early jazz fusion, where smart rock rhythms met bluesy bop for the first time. Recorded in only one day after one day of rehearsal, the four players represented here show off their improvisational chops and jazzological skills in a tight eight song set. They don�t go out onto any real limbs here, they�re just knocking it out and having fun while they�re doing it. Crisp and clean with just the right amount of bite. Boubacar Diebate�s Kambeng is an exciting crush of Western and African music, slammed together in a beautiful mush with his backing band Dialy Kounda. Diebate plays the kora, a 12 stringed instrument which is a little like a Western harp. The guys in Dialy Kounda provide the rollicking backbeat, while Diebate does his thing, which is play the kora and sing in his traditional West African style. The end result is wild and unpredictable, a clash of culture which is more than memorable. It�s kind of like Paul Simon�s forays into African beats, yet here the tables have turned, and the African music is the centerpiece instead of the accompaniment. Absolutely brilliant. 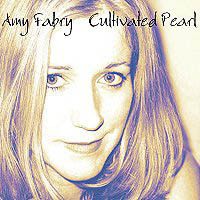 Jazz meets pop in this refreshing release from Amy Fabry, blending the soulful bite of Carole King and the subtle understatement of Norah Jones. The background music has a life of its own, twirling underneath Fabry's vocalizations with just the right touch of groove, allowing Fabry to work her magic without unneeded distractions. House In Limbo rides along with sultry, bluesy intent, while the title song lilts romantically like a spring breeze. The perfect combination of great songwriting and great singing is key to this successful sound, which so many solo projects like this usually lack.